We’re investing £12m in our facilities, including a complete renovation of our teaching labs, ready for students joining us in 2019. This refurbishment will ensure our students benefit from an outstanding educational experience. It will provide students with modern, state-of-the-art teaching spaces and more opportunities for experimental work and hands-on use of advanced analytical and spectroscopic equipment. Watch our fly-through CGI animation of the new Inorganic and Physical Analysis Laboratory. See our CGI fly-through video of the Organic and Inorganic Synthesis Laboratory. fully upgrade the undergraduate teaching laboratories in Chemistry enabling us to provide an excellent student experience. There will be a laboratory dedicated to synthetic chemistry, and another focussed on measurements. modernise existing laboratory equipment and introduce new facilities including nuclear magnetic resonance and diffraction equipment. upgrade the laboratory IT system so that students can process their data in parallel with experimental work, transforming the experience of the most data-intensive experiments. This will also enable students to prepare and submit some assignments during laboratory classes. introduce new high-tech display systems in the laboratories and breakout rooms, to facilitate advance presentations of techniques, and group discussions around the data students gather in their experiments. We’ll also provide electronic laboratory notebooks in the laboratories, to support our students in their studies. Videos: Artist’s interpretation of what the laboratories will look like; this isn’t an exact representation of the final laboratory. This multimillion pound investment in Chemistry signals a really exciting time for our current and future students. It will ensure we’re able to deliver an even better student experience within outstanding laboratory facilities. We’ll also be increasing accessibility, and making our facilities more sustainable and environmentally friendly. Find out about other facilities and educational resources available to you as a Chemistry student at Southampton. 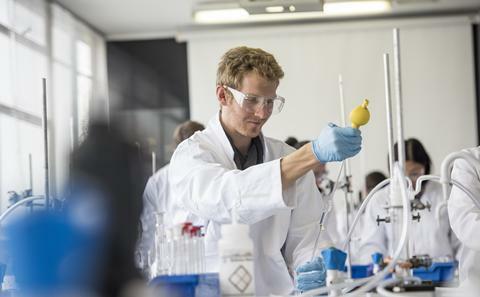 Learn more about our research-led, flexible Chemistry degrees. 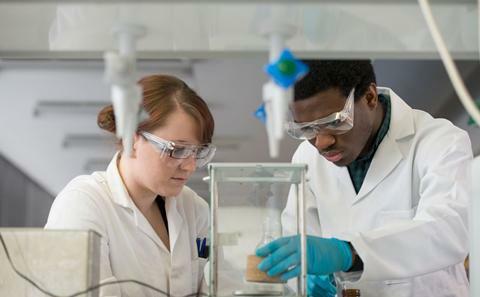 Find out about undergraduate study in Chemistry including student support, accreditation and careers and employment opportunities once you graduate.